This article is a summary of the much more detailed paper published in the Journal. Click here for a PDF (1.22 Mb) of the full paper. place the Flood/post-Flood boundary during or after the mid-Pleistocene. It is not clear how the evidence presented could be interpreted in a different manner. There is so much sediment and only a small portion can be moved and deposited after the Flood. There are tremendous amounts of volcanics in all sedimentary layers, and redistributing them to some other order cannot increase post-Flood volcanism nor minimise the severe climatic effects of volcanism. Only a very limited amount of volcanism could have occurred after the Flood. The Mountains of Ararat were formed after the vast majority of sediment in the region of ancient Armenia was deposited. 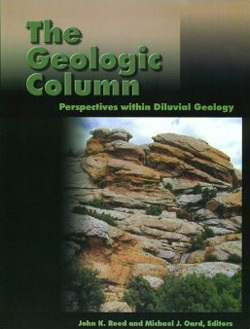 Geologic evidence indicates the sea level was substantially higher during deposition of most of the geologic layers, and almost always higher than the post-Flood bound God placed on the sea. Areas specifically mentioned in Scripture immediately or soon after the Flood are covered by thick layers of marine sediment. There is insufficient time after the Flood to grow, uproot, raft, deposit and bury vegetation (in sufficient quantities) to create the geologic resources of fossil fuels and organic carbon found in the uppermost sedimentary layers. Only a limited amount can be grown and buried in post-Flood sediments. There are serious constraints between a number of these evidence should one wish to alter the estimates in this analysis. An increase in post-Flood volcanism would decrease the available sunlight, limit photosynthesis, and reduce the growth of plants needed to generate post-Flood fossil fuels and other organic carbon found in sediments. Conversely, increasing post-Flood plant growth would impose a serious limit on the climatic impact and quantity of post-Flood volcanism. A similar relationship exists between erosion and plant growth. An increase in erosion to create more post-Flood marine and continental sediments robs plants of stable soil in which to grow; this limits the post-Flood generation of organic carbon for fossil fuels and distribution throughout post-Flood deposited sediments. Conversely, a stable soil sufficient for plant growth to generate large amounts of organic carbon limits the amount of catastrophic erosion that can occur. Rapidly varying post-Flood sea levels, with large changes in elevation, could move lots of continental sediment to the ocean, bury organic matter in continental interiors to become fossil fuels, and mitigate the effects of volcanism. However, this would dramatically delay the habitation of the Plain of Shinar and appear like additional global floods. More importantly, such a scenario implies that God’s promise about not sending another Flood and placing a bound on the sea is meaningless. In addition, there are severe stratigraphic constraints on the relative amounts of sediment activity, volcanic activity, organic carbon composition and marine fossil content as a function of strata. One cannot arbitrarily choose the composition of earth’s strata one wishes to model. The database for each of the different evidence would have to be dramatically in error in a quantitative manner to make a difference to the conclusions presented. Even the geology of the Middle East and the identification of the region of the Mountains of Ararat would require dramatic changes. A major re-identification of most sediments to earlier geologic strata would not alter the conclusions, because the boundary would have to remain near the surface of all the sediment. A quantitative assessment of the formation of precipitite deposits (evaporite deposits in the old earth paradigm). A quantitative assessment of the formation of carbonate deposits. The distribution and magnitude of bolide impacts in the geologic column and their climatic effects. Rapid radioactive decay in the crust of the earth and its lethal biological effects. The most violent activity occurred during the first 150 days of the Flood. The overwhelming majority of all volcanic activity occurred during the first 150 days while the windows of heaven were open. Continental sprint occurred at an incredible speed. The majority of continental movement occurred within the first 150 days, and virtually all movement occurred within the first 314 days of the Flood. Magnetic reversals occurred at least once every two days, and may have occurred as fast as twice per day during the Flood. There was amazingly rapid erosion and sedimentation during the Flood. The average rate of deposition of sediment during the Flood was at least 7.3 x 1023 g/day and was probably twice this level. This is a daily movement of sediment that is over 131 million times what all the earth’s rivers presently carry. All fossils, in Miocene strata and older, are the remains of creatures or plants that lived in pre-Flood times and were buried during the Flood. 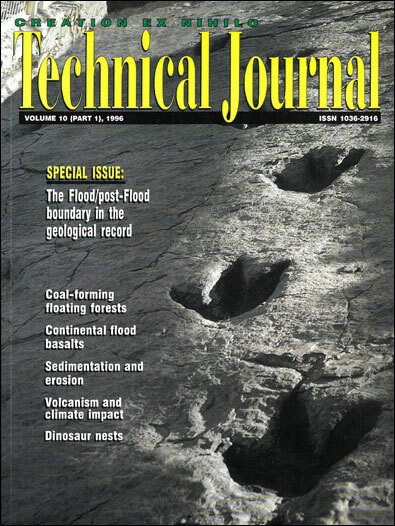 Almost all Pliocene fossils and many Pleistocene fossils also date from the Flood. Fossils are a tangible reminder of the Flood and of the severity and reality of God’s judgment. 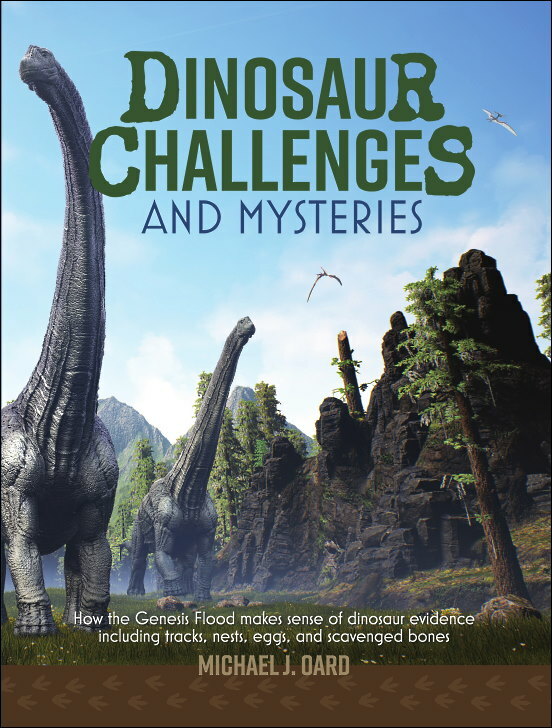 The tremendous biological diversity we see in the fossil record reflects pre-Flood genetic variability within Genesis kinds that was not sustained after the Flood. There was no explosion of biological diversity after the Flood. The genetic bottleneck at the Flood apparently greatly reduced the variability within Genesis kinds, and/or numerous Genesis kinds became extinct soon after the Flood. The low sea level immediately after the Flood, as predicted from a combination of Scripture and eustacy data, would allow rapid colonisation by man and animals of Australia and the Americas.317 In this scenario there is no need to wait for the Ice Age to approach maximum for the sea level to drop. The rapid colonisation of all the continents via land bridges could start immediately after the Flood for animals and immediately after the Tower of Babel for man. The land bridges should have had a long duration, from the end of the Flood to the end of the Ice Age in this model. A low sea level immediately after the Flood would also alter post-Flood climate models with an increased land area (above today’s amount) and a reduced water exchange between the Pacific and Arctic oceans. The warm continental sediments, about the same temperature as the post-Flood ocean, should affect the rate at which the continents cool and perhaps add a few years delay to the beginning of the Ice Age. Dividing of the lands in the days of Peleg was not the splitting of the continents. The continents split, perhaps more than once, during the first 150 days of the Flood. The division in the days of Peleg refers either to the dividing of lands among the scattered peoples after the Tower of Babel, and/or perhaps a dividing of lands due to the significant post-Flood global rise in sea level. There are many other less obvious implications of the mid to Late Pleistocene placement of the Flood/post-Flood boundary. Continued research will provide additional clues to these and other intriguing aspects of the Flood. It is incredible that these evidence suggest that the majority of activity of the Flood occurred within the first 150 days. The remaining time during the year of the Flood must have been for preparing the surface of the earth for post-Flood life, that is, receding of the floodwaters and growing vegetation for food. The last few months of the year of the Flood was a calming of the earth after its most violent climatic and geophysical catastrophe. Some may be concerned about the evidence of post-Flood man in strata dated older than the mid-Pleistocene—for example, the Laetoli footprints, circular stone arrangements, tools, etc. These do appear to be evidence of post-Flood man. are the only likely candidates. Continued continental sprint after the Flood could maintain the elevated ocean temperature and precipitation but would not delay the Ice Age. These or any other potential delay mechanism can be tested indirectly by proportionally increasing the prior quantitative estimates for volcanism, erosion, organic carbon generation and fossil fuel formation. My best estimates were based on having 1,000 years between the Flood and the Ice Age. Increasing this duration to 4,000 years stretches the Genesis genealogy beyond reasonable limits but only moves the boundary to the Pliocene at the earliest. Many more years would be needed to move the Flood/post-Flood boundary to a lower stratigraphic position. The contrast between the statement in Genesis that the ground “was dry” and the abundance of marine sediments in areas where Noah and his descendants lived immediately after the Flood. Although I do not perceive how the Flood/post-Flood boundary could be earlier than the Pleistocene, I am open to the ideas of others. The thoughts of readers with insight into alternate interpretations with quantitative assessments of the evidence are invited. 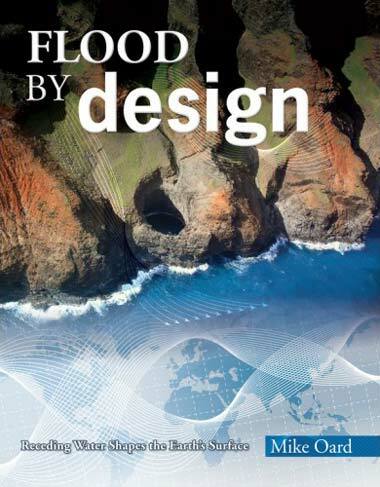 I thank Russ Humphreys for instilling his perspective that difficulties and challenges to the creation model are not problems but rather clues to the events of the Flood, pre-Flood times and Creation Week. I thank Michael Oard for his encouragement, publication of his monograph An Ice Age Caused by the Genesis Flood and his aid in understanding the Ice Age. Without the loving patience of my wife and two children, whom I thank the most, this research would never have been completed. The late Roy D. Holt held an M.S. in physics and was employed at Sandia National Laboratories in Albuquerque, New Mexico. (The Laboratories do not support this research, and neither affirm nor deny its scientific validity.) Roy was a founding member of the Creation Science Fellowship of New Mexico and held the office of vice president for five years. Return to top. Humphreys, D.R., 1995. Personal communication in October. Oard, M.J., 1995. Personal communication. Michael Oard pointed out this obvious implication of a lower sea level during one of our discussions about the Flood/post-Flood boundary while I was still engrossed in the details of this research. Hay, W.W., Pleistocene-Holocene fluxes are not the Earth’s norm. In: Material Fluxes on the Surface of the Earth, National Academy Press, Washington, D.C., pp. 16, 1994. Oard, M.J., An Ice Age Caused by the Genesis Flood, Institute for Creation Research, San Diego, California, pp. 135–166, 1990.